Meet Prince the Frog, the sweetest guest at your table. This easy-to-remove individual pop comes with a stick with a built-in drip guard and little heart waiting to be discovered in the center of your pop. With eight collectible creatures in the Character Pop family, there’s..
Reinvent the classics six pops at a time with Zoku Classic Pop Molds. 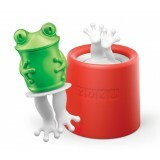 These easy-to-use and even easier-to-clean removable molds make creating and cleaning up a snap. 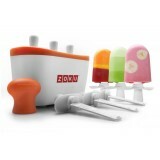 Invite them to your next family dinner, party, or to join the rest of your Zoku Slow-Pop™ collect.. It takes two to Zoku with the Zoku Duo Quick Pop Maker. Enjoy the same size pops as the original Quick Pop Maker and freeze them just as fast—making up to six pops before refreezing the unit. This size is perfect for couples, students, smaller families or as an addition to t.. 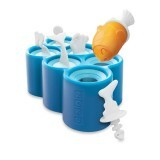 Dive into the world of Zoku Fish Pop Molds with your favorite under-the-sea creatures including a Shark, Clownfish, Octopus, Whale, Puffer Fish and even a Zoku Scuba Diver. Mix and match the tails for fun and surprising results. The sticks contain drip guards and have amusing &quo.. 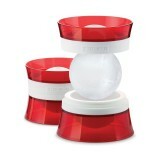 The Zoku Ice Ball lets you enjoy your favorite drink without diluting the flavor! Simply fill the mold, let it freeze, then easily open it to remove the ice sphere—no rinsing required. It’s simple to remove and melts at a slow, even rate in your glass. Enjoy it in any drink, at a.. 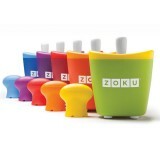 Create up to nine different mini pops at a time with the Zoku Mini Pop Molds. Forget fighting with the tray to get your pop, when your pops are frozen, simply pull out your mini pop and enjoy! These pops are the perfect size for children, which makes them an excellent additio.. 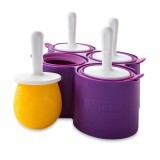 Treat your friends, family, and guests to a round of homemade pops with the Zoku Round Pop Mold. Creating up to four different pops at a time is easy, and so is peeling away your frozen pop from the mold. 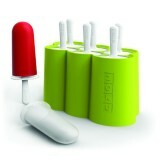 Add them to your Zoku Slow-Pop™ collection today. ..
No sharing required! The Zoku Single makes the same delicious pops you’ve come to expect from your Quick Pop Maker, and in as little as seven minutes! Each maker can freeze up to three pops before returning it to your freezer. Pick your favorite color and your favorite recip..
It’s time to blast off with the Space Pops. To make the best pops in the galaxy, just use your favorite combination of fruit juice, yogurt, and add-ins. Transform your kitchen into mission control by simply pouring your ingredients into the detailed molds, inserting the reusable sticks.. 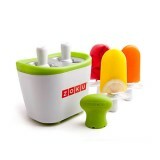 Freeze ice pops in as little as seven minutes with the patented Zoku Quick Pop® Maker! 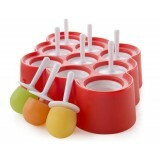 Make striped pops, yogurt pops, or even flavored core pops right on your countertop without electricity. To enjoy Quick Pops at a moment’s notice, simply store the compact base in your freezer. ..